Offering a low cost spay/neuter program in partnership with the Snyder Foundation for Animals. Educating the public for the care of animals. 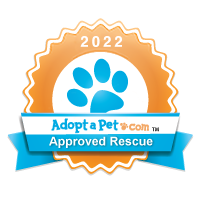 Rescuing unwanted animals (from various sources including the Tri-County Animal Shelter and individuals who are no longer able to keep/care for their animals for a variety of reasons) and placing them in new homes. Funding care for injured animals through our Emergency Vet Fund. Preventing cruelties of any form to all animals and when necessary, having offenders prosecuted for actions (working closely with St. Mary’s County Animal Control). Working towards building a “no-kill” animal shelter in St. Mary's County. Continued to make available low cost rabies vaccinations to the citizens of St. Mary’s County (although we do not verify that they are residents of the County). Our clinic is low cost to ensure all animals can be in compliance with Maryland State Law. Our rabies clinics are run in partnership with the St. Mary’s County Health Department. Providing a Pet Food Pantry to help families facing temporary financial hardship feed their companion animals so that they are able to keep their pets and not add to the overburdened population at the animal shelter(s). This is done in partnership with St. Mary’s County Animal Control. Defeating a proposed Senate bill that would have denied Maryland State Humane Officers the right to investigate allegations of neglect and cruelty in St. Mary’s County. Instrumental in changing the law from 20 acres required to establish an animal shelter to 6 acres. Spearheaded early spaying and neutering in St. Mary’s County. Since there were not any veterinarians participating in early spaying and neutering of animals, members drove over 100 miles each way to a veterinarian in Frederick, Maryland. Since that time we have been able to work with the Well Pet Clinics in St. Mary’s, Charles and Calvert Counties; as well as All Kinds Veterinary Hospital, Companion Care Veterinary Clinic and Tidewater Veterinary Hospital. Introduced a bill to the State of Maryland for the pet spay/neuter license plate with the Motor Vehicle Administration. Outspoken advocates for the purchasing of new county Animal Control vehicles that were air-conditioned. Pursued every avenue to find and purchase land for the purpose of establishing a “no-kill’ animal shelter in St. Mary’s County. Started the aggressive effort to procure the 126-acre farm located in Oakville, Maryland, from future commercial development. It is now protected by the State of Maryland as a viable, operating farm and animal sanctuary (Summerseat Sanctuary). Purchased 6.03 acres from Summerseat Sanctuary (in 2002), incorporated to establish a future dog and cat rescue facility, adoption center and animal health clinic. Until recently it housed many of our cats at the farmhouse (built in 1900) located on that property. We are now redoubling our efforts to take the preliminary actions needed to lay the groundwork for the building of a shelter on the property. Aggressively promoting, supporting and financing the trap, neuter/spay and release program for feral cats in St. Mary’s County in affiliation with Alley Cat Allies. This eventually became Feral Cat Rescue, Inc. which is now an independent rescue organization operating in St. Mary’s County, Maryland. In 2006 The Snowflake Society was established as a hoofed-animal rescue division of SMAWL and exists to address the need for hoofed animal rescue in our community. In May of 2013 staged our 9th Annual Animal Fair - a day of education and adoption held at the St. Mary’s County Fairgrounds. This is an opportunity for rescue organizations in our community to bring their animals available for adoption to be seen by over 1,000 members of the public who attend this annual event. The event is open to the public and they are encouraged to bring their pets (dogs mostly) for a day of fun with a variety of activities and vendors (in addition to rescue organizations). On May 10th, 2014 we will hold our 10th Annual Animal Fair – the folks who first organized this fundraising event (John Baggett, Maureen Bernard, Kelly Bryan-Bowes, Trish Cole, Cathy Knott, Barbara Whipkey and Tina Whitaker) never dreamed that it would be going stronger than ever at the 10 year mark. They provided us with a major fundraiser that also provides a way to interact with members of the public on a large scale – a legacy that will last many years into the future. SMAWL members have rescued, rehabilitated and placed thousands of unwanted animals into new and loving homes. Since this organization’s beginning, the number of unwanted and abandoned animals in St. Mary’s County has been significantly reduced by spaying and neutering all animals before placing them for adoption. We have educated school children and adults alike on the importance of spaying and neutering animals, which is critical in reducing the overwhelming euthanasia rate in St. Mary’s county. There is an ongoing and aggressive effort by SMAWL to establish a “no-kill” shelter in St. Mary’s County and to end the problem of animal overpopulation, abuse, neglect and homelessness.